VMware is coming with their version of the cloud based management solution one Citrix is already running on Azure or AWS. What will VMware bring to market and how will it effect what Citrix is offering right now? I was thinking about this for the last days, perhaps because I’m due for a conference call about VMware Horizon Air Hybrid Mode. My thought on this is that VMware has a big opportunity to disrupt Citrix plans with Citrix’s Workspace Cloud offering (CWC). Let’s take a look at the what both option offer. As you might have read my article already at the time it was launched it is a cloud based management solution that offer you the possibility to deploy your desktops in the cloud or on-premises. Management of the backend infrastructure like the controllers, license servers and so forth is handled by Citrix. You as a customer are faced a regular update schedule where Citrix will make sure the backend is always up-to-date with the latest version (So this is the CR build right? and not the LTRS one…) you can postpone that update but you will have a predefined period of time to do so before you are obliged to update. 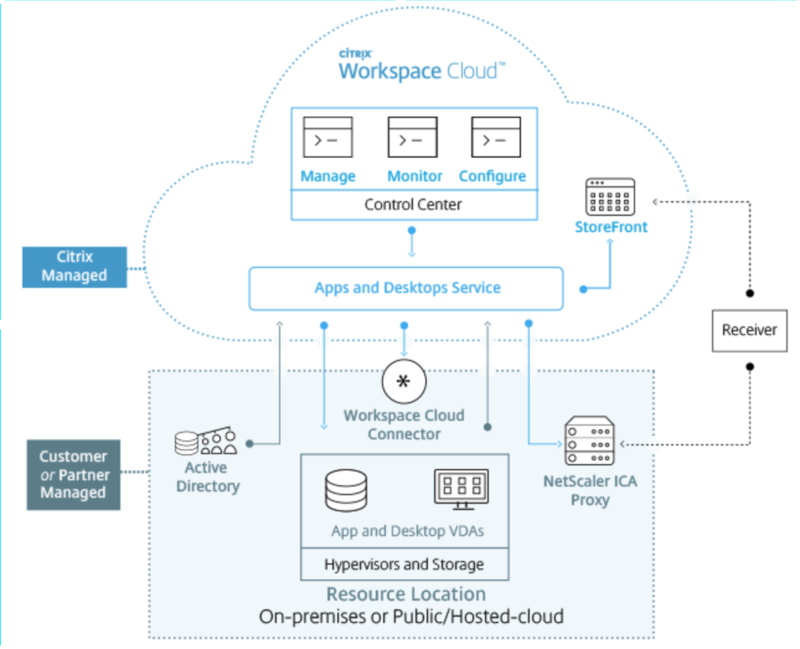 If you look at the drawing below you see the architecture of Citrix Workspace cloud, a cloud management platform with your desktops on-premises. If we look at VMware Air Hybrid mode, it’s a development take has taken a long time and still is not available. Project Enzo is a combination of Project Fargo, Meteor and so on. Parts were announced already at VMworld 2014 and beginning of 2015 Enzo saw the light. A few weeks ago we got the word that Enzo went through an evolution and turned into Horizon Air Hybrid mode. 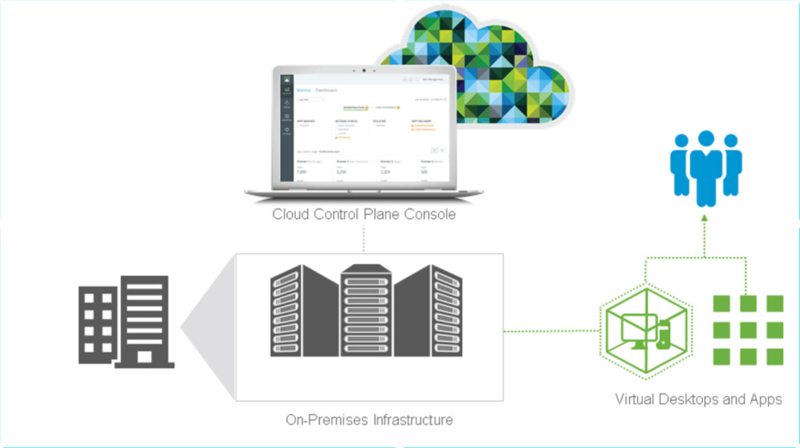 VMware Air Hybrid mode is a cloud based management solution where your desktops and applications will run on-premises. If we look at both offerings there is not that much difference between both vendors for the basic solution the nifty differences are in the details. also with VMware you will get updates automatically and you will follow with updating your agents, you can postpone as you can with Citrix but also just for a while. If we look at the architecture we see a lot of similarity with Citrix CWC, both run a cloud-based solution to manage the environment and both let you run your desktops locally. Of course VMware offers next to VMware Air Hybrid mode Horizon Air where you can get a fully blown DAAS solution which Citrix isn’t offering. Before we look at the pricing and offering of both vendors let’s first do a quick round up on what the differences are on the nifty details. 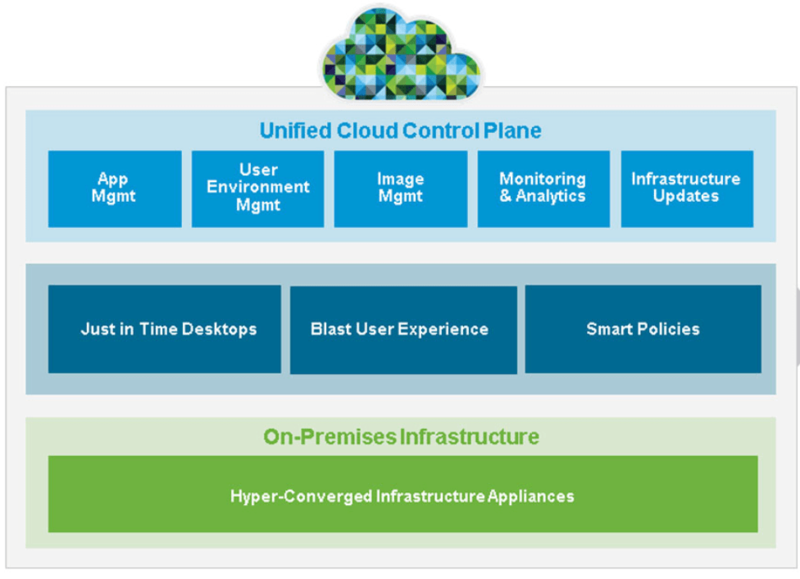 Let’s start with VMware Air Hybrid mode. VMware UEM to manage the user environment and offer them a workspace based on the context and make sure they don’t start applications they are not suppose to. It’s some list of features and with VMware UEM and Just-In-Time desktops they got some killer features there. I personally am a big fan of Just-In-Time desktops but anyone reading my blogs knew that already. The idea of not having to wonder about maintenance windows to update the golden image sounds pretty good to me. 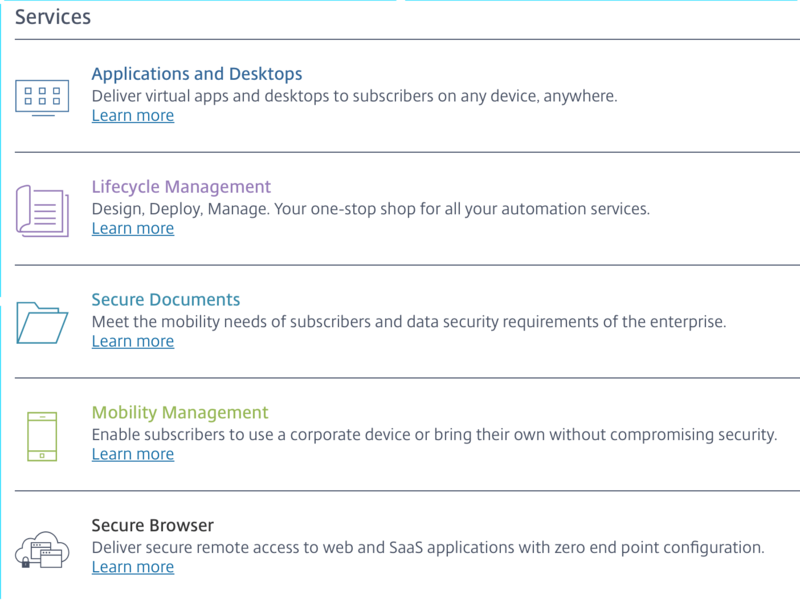 Citrix Secure browser to access SAAS and web applications with zero configuration for the end user. A difference in offering seems to be that Citrix is offering a mobility management solution with it and VMware is focusing on desktops and applications. I think VMware is focusing on desktops and applications more right now and not that much on managing the devices from this solution, they have a perfectly working Airwatch SAAS solution already that can be deployed in minutes. The other difference, obvious, is the document management and secure browser offering. Both offered by Airwatch if you go for VMware and offered by Citrix from CWC. The question is, will customers buy these licenses for desktops and applications only or are they expecting more (mobile device management and the features surrounding that). Time will tell, I see customers still interested more in desktops and applications. Of course mobile device management is a rising star also with our customers but not company wide yet, department level or specific use cases only so far. I think VMware and Citrix will battle about the licensing and the features and this will be the stick they will hit with. Without choosing sides let’s take a look at the licensing, who is offering what and what are the costs. It starts at $15 per month per user and goes up to $28,13 per month per user. I just said they offer 1GB of data for sharing but that is just when you first pay $28,13 per month per user. If you want to deliver applications and desktops like most customers it will cost you $22,50 per month per user. If you want to add secure data, so Citrix Sharefile to it, that will cost you $5,19 per month per user and an extra $1,06 per month for 1GB of data going up to a whopping $25 per month per user for 500GB of data. To add it all up you can add some life cycle management to it that will cost some more bucks. In total it if we look at virtual apps and desktops you would end up around $25 per month per user for using Citrix products. What is missing? 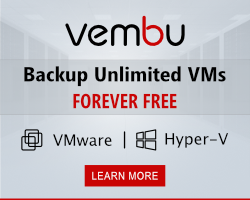 Perhaps a decent UEM solution and a application virtualization solution, if you want to add them you will need to pay more so add that to the offering. The list below is extensive, I added it so that you have a complete overview not to bore you :). Offerings begin with 100 users and you can add users later on. The offerings for named user is $18 per month per user where you get all the features I listed before, you don’t need to add any UEM solution of application virtualization, that’s all included. If you pick the concurrent solution you have to pay $30 per month per concurrent user with again the same feature set. If you have 500 users (standard Dutch company size) we see a 70% of the users working (the rest is sick, on leave of otherwise not attending). So that’s 350 users working. 500 * $18 = $9000 whereas 350 * $30 = $10500. Named users win in this scenario, you need to make this calculation yourself when comparing. Of course you will say you get mobile device management and secure document sharing with Citrix but that is not completely true. If we compare that we are looking at a different price, more or less like 500 * $40 = $20.000. VMware Airwatch Blue (offering mobile device management, secure content locker etc) is offered at $152 annually per user so that is 152/12 = $12,6 per month per user. Adding that to the offering that would make the pricing look like 500 * $12,6 =$6.333 per month + the $9000 that would make it $15.333 in total or if you combine it with the concurrent user offering $16.800. From a pricing perspective the VMware offering looks interesting I have to say. So what is the best solution? The best solution is the one that fits your environment. that sound corny but that is the truth. VMware will release there solution later this quarter whereas Citrix already is offering it for a while. We will have to see how the VMware solution will work, only time will tell how both will compare in real life. Hope you get a bit of an overview on what is offered anyhow they differ, as soon as VMware releases we’ll continue this article and the comparing.